I'm using your wonderful plugin, however I have a problem. How can I fix? Thanks in advance! You can disable all your plugins except Dokan and switch to a default theme of WordPress like – Twenty Twelve, Twenty Thirteen, Twenty Fourteen and let me know the results. I've tried and I sprout orders only when I turned on the theme Twenty. But only the first time. That is when I tried to buy other products, not sticking anything in orders. I have bought your plugin, but i can't see my license key. Also, i have the same problem. 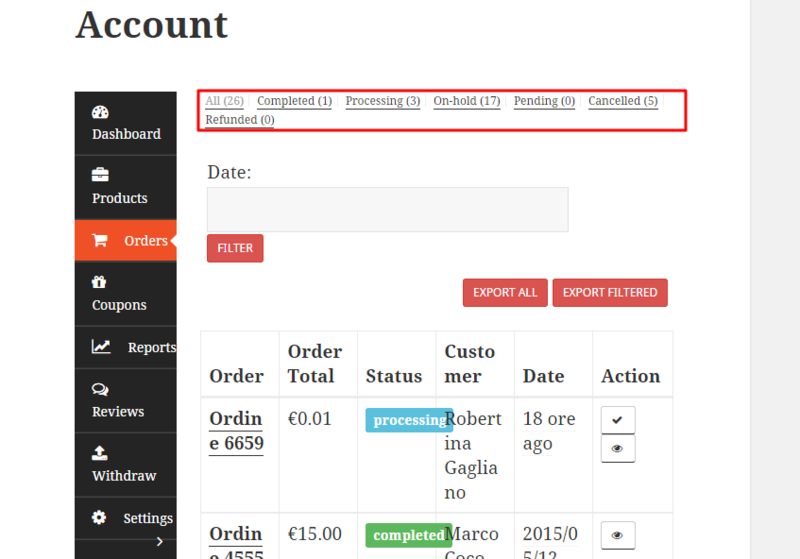 Orders are not updated, I do not see them in the panel of Dokan, although in the admin panel shows all. I think you did not properly configure Dokan settings. If you do not know how to install Dokan you can check our documentation from this link – http://docs.wedevs.com/category/plugins/dokan-plugins/. After then I can check and fix the order issue. How I will navigate seller dashboard page. Did you place any shortcode in dashboard page? If I not getting this page – https://docs.google.com/file/d/0B2Xt3DqxNeZpWjhtdDNueVdJM0U/edit. Can you please let me know how I will get the seller dashboard page along with order menu. I turned on the theme Twenty like you asked. There are no zero figure in order page. I have send you a screenshot in this link – Can you check please and let me know.